Incredibly warm and gentle. Caramelized apple bites topped with freshly grounded cinnamon. 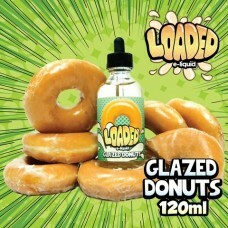 Add that ..
Cookie Butter by Loaded E Liquid is now in stock!Cookie Butter is one of our favorite desserts ..
A warm right out-the-oven doughnut, topped with mouthwatering glaze. 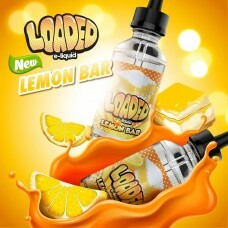 The greatest dessert ..
Take a trip with Loaded Lemon Bar. 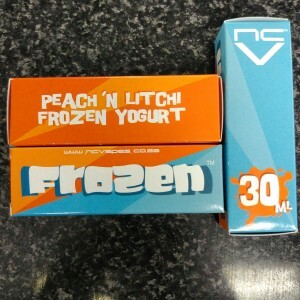 This lemon e-juice was inspired by Tarte au citron, one of the be..
Melon Milkshake e-juice is a perfectly blended mix of fresh melons, ultra smooth milkshake, and a hi..
Campfire time!Loaded e-liquid brings you a new delicious premium e juice know as Smores. M..